Kevin Durant’s situation over the recent few days hasn’t been very comfortable. His plans about the upcoming free agency are still unknown, and his future has become one of the hottest topics in the NBA. The former NBA MVP has a player-opt for the next season in his contract, and when Kristaps Porziņģis got traded to the Dallas Mavericks, it immediately created the potential scenario of Durant landing in the Big Apple. Recently, the Golden State’s forward had an outburst at a press conference, stating that he doesn’t trust the media anymore. The reason for that is that they constantly make up stories about his future without even talking to him, or by taking some parts of his interviews from the original context. Today, Steve Kerr decided to get involved in the case and protect his player. He tried to explain the whole situation and reduce the tension surrounding the matter. The holder of 8 NBA rings is aware that today’s game is much different than it used to be when he played, and that rumors and stories create a huge profit. Because of that, the role of the players is a bit changed. “We’re all actors in a soap opera. We really are. So we have to deal with that part of it.” Kerr told the journalists before the practice today. But the central piece in his interview was Durant’s position and the fact that the media needed to cut some slack in his case. The Warriors’ coach reminded everybody that so far, Durant was more than professional in his media appearances and in the relationship with the reporters. “We know Kevin very well. He’s been here three years. I think you guys would agree he’s been really good with media….So I think you just — you give him a pass,” he concluded. Steph Curry also backed up his teammate, saying that all that matters to him and the rest of the team is winning another title. 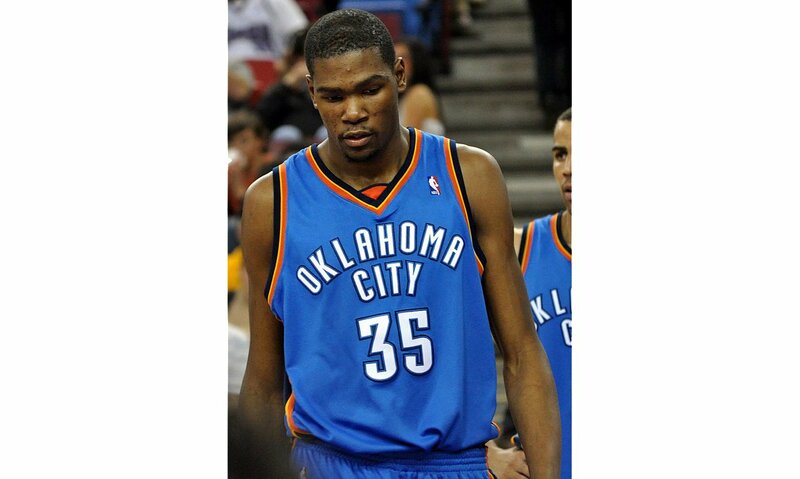 He, Durant and every guy who plays for the Warriors are committed only to that. Besides that, everything else is a distraction, which needs to be set aside. Durant hasn’t spoken with the media since the game with the Phoenix Suns, and after this incident, it is quite possible that we aren’t going to see him doing that for a while. The back-to-back champions are in a difficult position, as they have three superstars who might leave after the end of this season. Klay Thompson becomes a free agent, DeMarcus Cousins as well, and Durant can decide to test the free agency and opt out. All this is generating a certain dose of tension with the players, which could be increased dramatically when the media steps in. At the moment the Warriors are doing good on the court. With 38 wins and 15 losses, they hold the top spot in the Western Conference, slowly getting away from the Nuggets, who are losing the pace. They are still the biggest favorites for winning the title, and things like this are not bringing anything positive to their performance. The upcoming All-Star break is coming at the right time, shifting the attention away from them, and providing some space for the players to relax.